question, Why make a tower defense and not a Survival RTS like the upcoming Conan from petroglyph or they are billions? I think the Ashes universe would be perfectly suited for a game like this more than a tower defense. 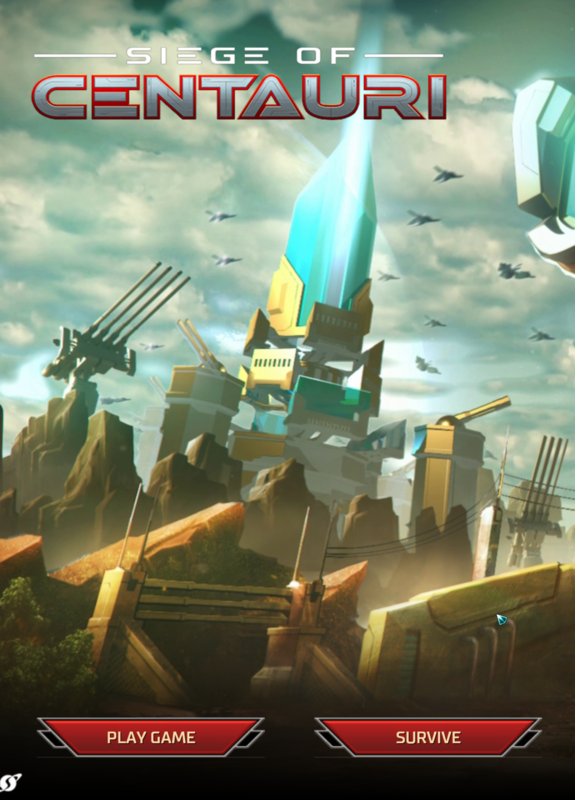 You could take control of a city or outpost of Centauri; expand it, build lots of defense, Harvest resource, Setup Ambush points, do some questing on the map to help you prepare for the invasion or something like that. I'm speaking more from my personal preference here, but I think a Survival RTS would be too close to what Ashes already offers. It would feel too much like an Ashes mod rather than a full game so to speak. I think that if Ashes didn't exist in its current capacity it would be awesome to see a Survival RTS from the universe. They are Billions is a great game and I am looking forward to what Conan Unconquered has to offer. The Survival mode game is the second option on the screen. How in depth it gets depends on a lot of factors (player demand, scope, time, budget, etc.). I would like to see some added RTS elements in the survival mode. Probably expand on some limited base building for progression. Hey Schism, what kind of things do you see being able to be built? Are we talking actual unit manufacture here? That's really up to the core team and not me. But I'd probably put a unit cap on any units the player controls whilst the enemy has far more to throw at you. Yeah I more meant what type of things you personally were interested in. Large, vulnerable carriers that can spawn squads of units to serve as a delaying action. But if you're not careful the aircraft wave can snipe your carrier. What if it's not actual unit manufacture, but just another tower that can shoot units that last for a certain amount of time? That way it'd introduce what you want without having to create the whole economic side of unit manufacture. It'd just all be getting fired out of towers instead.